The U.S. Food and Drug Administration has issued a warning against leaving Inferior Vena Cava filters in for an extended period as the devices have a tendency to cause life-threatening problems. An IVC filter is a small, spider-like surgical implant, placed into the inferior vena cava, which returns blood from the lower half of the body to the heart. Many of IVC filters are designed for short-term use, but some are approved for permanent placement. Its metal leg design holds it in place in the vein, allowing blood flow and filtering of blood clots out because they can reach the heart. The number of filter devices surgically implanted in patients has grown to an estimated 200,000 per year, according to the FDA. The government safety warning comes after the Archives of Internal Medicine study conducted by Dr. William Nicholson and colleagues of York Hospital in PA found through patient follow-up a high prevalence of fracture and fragment embolizations with retrievable IVC filters. The report was used as a challenge to the FDA and its device approval process. The government considers IVC filters as class II devices, or low risk, usually clearing them without clinical safety or effectiveness data in their 510(k) approval process. The study started after a patient at the York Hospital in York, PA, had complications of pleuritic chest pain, cardiac tamponade and perforation of the right ventricle after receiving an IVC filter implant. The doctors found fragmentation and embolizations three years after implantation. Dr. Nicholson’s research found 13 of 80 patients implanted with the Bard Recovery and Bard G2 filters had at least one strut fracture. Older Bard Recovery filters had 25% of 28 filters implanted fractured and embolized, with embolizations to the heart occurring in giving of these seven cases. One patient died of sudden death while two others experienced ventricular tachycardia. “This is a significant public health concern because of the large number of people that have been, and will be, affected with life-threatening complications from device fracture and other problems with the IVC filter,” said John Dalimonte, medical device attorney and principal at Karon and Dalimonte LLP. Tennis champion Serena Williams recently suffered a life-threatening pulmonary embolism condition and underwent an emergency procedure. Pulmonary embolism occurs when a blood clot obstructs an artery in the lungs. The majority of cases of pulmonary embolism originate in the veins in the legs, or deep vein thrombosis, and can cause sudden death. Patients at risk of pulmonary embolism and deep vein thrombosis that do not respond to favorable treatment by blood thinning agents and other medication are implanted with IVC filter devices. Without emergency treatment, pulmonary embolism carries a risk of 30 percent mortality, usually within the first few hours after the episode. Using image guidance, an implanting physician inserts a catheter through the skin into a blood vessel in the neck or groin and advances it to the inferior vena cava in the abdomen. The IVC filter device is then placed through the catheter and into the vein where it attaches itself to the walls of the blood vessel. A removable IVC filter has a small hook, which enables the catheter to take hold of and withdraw it from the body. Teresa Toriseva, a prominent medical device attorney in West Virginia, believes that patients should be informed both medically and legally. “While patients with IVC filters implanted need advice from their doctors, they should also be aware of complications and risks associated with these devices and should consult with an attorney for an evaluation of their legal rights,” she said. In 1979, only 2,000 of the filters were implanted, but by 2012, the FDA predicts that about 259,000 will be surgically implanted. The FDA warned that IVC filters are for short-term use in patients at risk for pulmonary embolism, and implanting doctors are to retrieve the devices once the patient’s risk subsides. The agency is concerned that doctors are not retrieving IVC filters intended for short-term placement, exposing patients to further health risks caused by fractured devices. The cardiac device industry confirmed a positive and rapid growth prospect, as reported in the Global Inferior Vena Cava (IVC) Filters – Market Growth Analysis, 2009-2015. 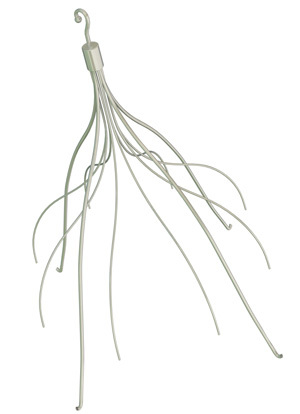 Global IVC filter market forecasts an estimated reach at $0.55 million by 2015, with the North American segment accounting for nearly 40% of the global value. Retrievable IVC filter devices indicate a close to 60% growth by 2015. According to the FDA’s report, since 2005 the agency had received 921 adverse event reports involving IVC filters; 328 involved device migration, 146 involved detachments of device components and embolizations, 70 associated perforations of the IVC, and 56 involved filter breaking. According to the Interventional Radiology Clinic of Washington University, an IVC implant device carries a risk of damage to blood vessels, bruising, bleeding at the puncture site, filter lodging, injury of a nearby organ, and detachment, which could cause injury to the heart or lungs and even death. The FDA said it had not issued a safety warning until Dr. William Nicholson’s research brought to light serious health problems with IVC filters, despite receiving an alarming number of adverse event reports. The majority of adverse event reports received by the FDA involved retrievable IVC filters that were not removed by implanting physicians and clinicians. The agency warns that attending physicians, including interventional radiologists, interventional cardiologists, bariatric surgeons, primary care physicians, vascular surgeons and emergency physicians should follow up with IVC filter recipients as part of providing ongoing care and should refer patients for device removal if the clinical risk of pulmonary embolism has subsided. I was just given the option to leave it or remove it the other day. I specifically asked the risks of leaving it in being that I am 31 years old, and was told barely any! I told her to leave it in because I didn’t wanna go through the pain in my back of laying there for 8 hours again but after reading this I’m calling them back. I have had my filter in place for four years and five months. Reading this article has raised some serious concerns about this filter. What do I do now? Can I have it removed and risk death or leave it in and risk death. Wow what odds. Im in the Army and i had my IVC put in on my 20th birthday. The army has tried twice to retrieve it and both were unsuccessful. Been five years now and waiting to under go another surgery. Aren’t the risks getting greater with every attempt? Hey everyone Oct 27th will be my 18th anniversity with a Greefield Filter. No problems so far, I’m on a bloodthinner regiment also. I was 32 when I suffered thru tamponade, pulmonary embolism, pleural effluxion, both lung collasping and 2 cardiac arrests. Luckily I was already in Veteran Admin hospital for a bad sarcoidosis outbreak. I worry about my filter but considering my medical stat I’m not going to complain unless there is a recall of my model. Good luck all and peace be with you–Jim. Was your symptoms caused by the filter? That sounds similar to what happened to me. The drs do not know what caused hemorraging, cardiac respiratory failure, renal failure, percardiditis, pleural effusion. I find out now that this IVC filter is in my heart, legs and has perforated through my inferior vena cava vein. Can a migrated filter cause these symptoms? They gave me my IVC after an accident. I have had my filter for almost five years and am now waking up in the middle of the night with my lips tingling and my arms and hands very cold. The veins look almost closed. If I get up I am dizzy.I find I am sleeping on my left side when this happens. I thought it was low protein but I am making sure I get 80 grams a day. The last time it happened I was dizzy for two hours and tired all day. I don’t even know what kind of Dr to see. I am wondering the same thing. I’ve had my filter for 1 1/2 years. My son,44 had his Greenfield filter break loose and lodge in his heart. had he not been otherwise very healthy and blessed he would be dead, they replaced the filter after doing open heart surgery to remove the old one.